Joel Stillerman is Chief Content Officer, Hulu, where he is responsible for evolving and driving the overall content strategy for the company, and oversees Hulu’s content acquisitions, originals development and content partner management teams. As Chief Content Officer, Stillerman works closely in collaboration with Hulu senior leadership across marketing, distribution, advertising sales, technology and product, and keys role to deliver the strategic vision for the company’s content set; overseeing the growth of Hulu’s content partnerships; the expansion of the Hulu Originals slate; and the use of the company’s viewer consumption data, and other powerful analytics to ensure that the right mix of fresh TV and film content is always available to viewers. Prior to joining Hulu, Stillerman served as President, Original Programming and Development for AMC Networks, including AMC and SundanceTV. During his near-decade-long tenure, he oversaw some of the most iconic and acclaimed shows on television and helped drive the strategy that led AMC to becoming the only cable network in history ever to win the Emmy® Award for Outstanding Drama Series four years in a row with Mad Men, and six of the last eight with back-to-back honoree Breaking Bad. Additionally, Stillerman spearheaded an aggressive development slate for AMC, including The Walking Dead, the number one show on television among adults 18-49 for the last three years – and the highest-rated drama series in basic cable history – as well as popular series Fear the Walking Dead, Better Call Saul, Into the Badlands and the multi-Golden Globe winning mini-series The Night Manager. 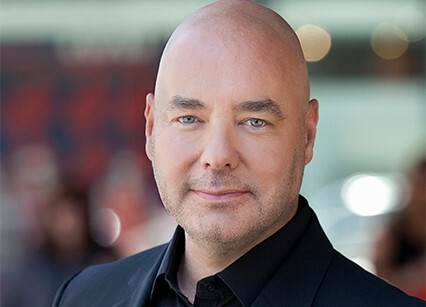 As a seasoned and Emmy® Award-winning content executive, Stillerman joined AMC with more than 20 years of experience developing, producing and writing for film and television. He joined AMC from Yolo Films, an independent film and television production company, which he founded in 2003 and where he served as chairman. At Yolo, Stillerman produced content for networks such as HBO, MTV and VH1, including the HBO movie Sometimes in April, which was named an AFI Top 10 Television Program in 2005. Prior to Yolo Films, Stillerman was the top content executive at Walden Media, where he spearheaded the company’s mission to build a brand around young adult literature, supervising the acquisition and development of The Chronicles of Narnia: The Lion, the Witch and the Wardrobe and Holes. In 1995, Stillerman co-founded Spanky Pictures with Ted Demme. As co-chairs, he and Demme oversaw all aspects of the company’s operations, including acquiring, developing and producing both film and television projects, including the features Blow and Rounders, as well as the Emmy®-winning HBO movie A Lesson Before Dying, which also earned a Peabody Award, Humanitas Prize and National Board of Review Award. Stillerman earned his Bachelor of Arts degree in mass communication and television from Emerson College in Boston. He will re-locate to Los Angeles, CA, where he will begin his new role at Hulu’s Santa Monica, CA headquarters.